Reliance Electric GV3000/SE VTAC7 20HP 460VAC Drive. 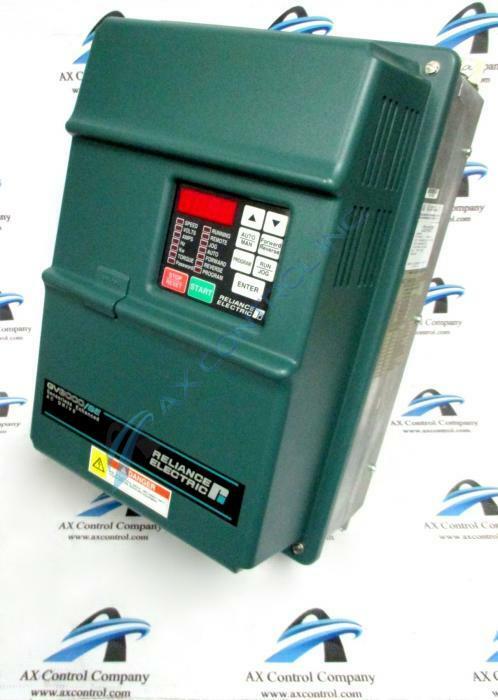 Does AX Control stock and sell the Reliance Electric 20V4160 GV3000 AC Drive? Although the 20V4160 is no longer manufactured, we do our best to keep New Surplus, Remanufactured, and Used surplus in stock and available for our customers. Please contact us for pricing, warranty, and current inventory levels regarding the 20V4160 AC drive. What are some common fault codes and error codes seen with the 20V4160? Can AX Control help me troubleshoot my existing 20V4160 GV3000 drive? Our technicians know these drives inside and out. We will be happy to assist with your 20V4160 and recommend corrective actions or bring it in for evaluation and repair if necessary. Are the manuals available for the 20V4160? We will be happy to provide the GV3000 manual in either the pdf version or, if necessary, a physical copy. The 20V4160 will have both a software version manual that includes parameter and programming references and a hardware manual that shows the 20V4160 specifications and replacement parts.